As Upward Stars enters our third year partnering with Junior Volleyball Association, it has become evident that the organization's expertise is crucial in reaching young athletes across the country. They continue to show a strong commitment to working with Upward Stars club directors nationwide and truly trust the vision of each club director to help benefit and grow the sport at the local level. On Saturday, Sept. 27 the Upward Star Center opened its doors to the local community. The multi-sport, indoor-outdoor complex sits on 60 acres in Spartanburg, SC. 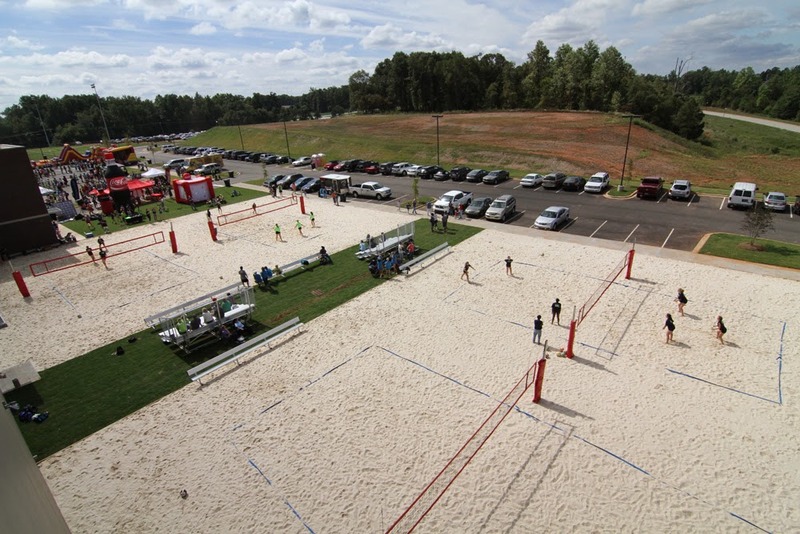 On the outside lie two state-of-the-art turf fields, four natural grass fields, and four lighted sand volleyball courts. The 120,000 square foot indoor facility houses six full-sized basketball courts (that can be transformed into 12 short courts), 12 regulation indoor volleyball courts, six meeting rooms, four pro-style batting cages, a running track, rock wall, cafÃ©, strength and conditioning area with trainers, a retail shop as well as a full-sized orthopedic and rehabilitation center. We often get asked, "What's the need for such a facility?" In today's sports culture, a lot of organizations sacrifice the long-term benefit of athletes in exchange for short-term gain. The result of such neglect is 70% of young athletes quitting sports by the age of 13. We want to stop this trend and help reclaim the landscape of youth sports for the benefit of our young athletes. Train New and Existing Leaders - Invest and develop mission-aligned leaders and coaches with and athlete-focused philosophy. Use as a "Living Laboratory" - Develop and improve new sports offerings that focus on an athlete's long-term development. Support Upward Sports' Exclusive 360 Progression Program - Offer recreation, developmental, and performance programs as well as tournaments with the primary goal of developing the total athlete. 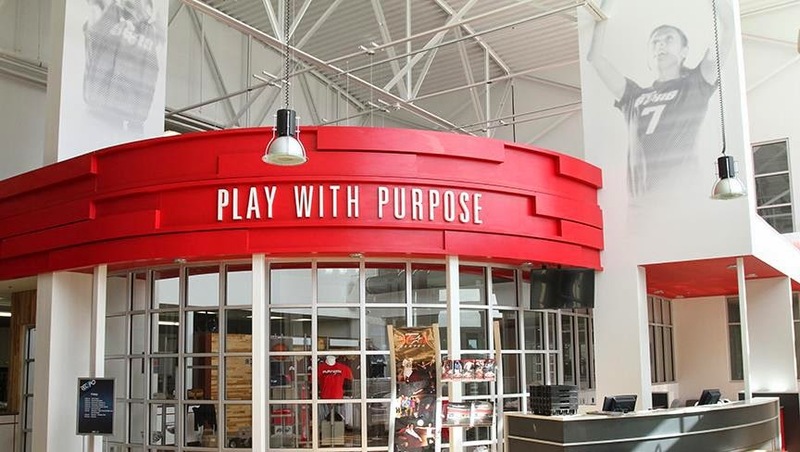 The Upward Star Center is one of the premier sports destinations in the southeast. As proud as this fact makes us, the real mission and excitement is being able to help build total athletes. The term "total athletes" is used to describe our exclusive 360 Progression program which is the blueprint to help young athletes grow in four key areas - Mentally, Athletically, Spiritually, and Socially. Upward Stars has dedicated coaches, staff, and community members who share in the mission to guide players through the stages of game discovery, skill development, and peak performance while fostering the growth of personal character through the teachings of Jesus Christ. Now, one of the critical issues that arose recently is that players are leaving leagues, a lot of times even quitting sports entirely by the age of 13 which decreases the time they can be impacted through the 360 Progression. There is clear evidence that if young athletes aren't around qualified coaches and in a competitive atmosphere, parents are willing to move their child out of athletic programs. 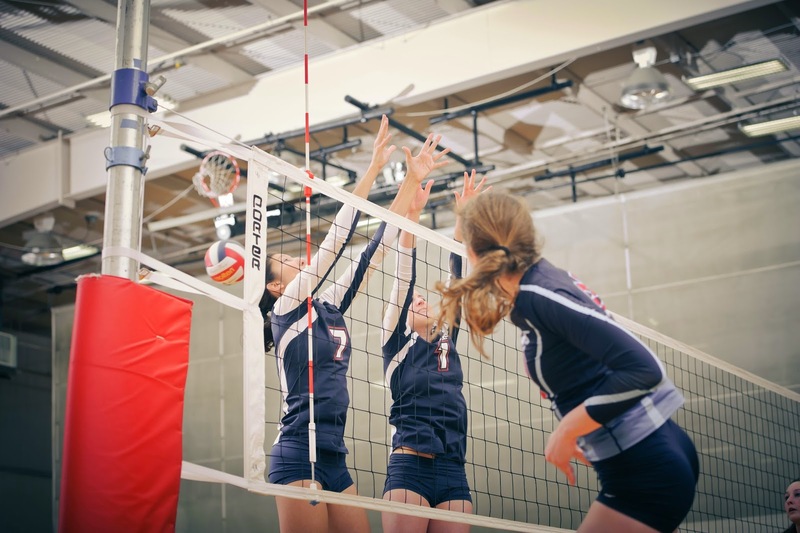 While the Upward Star Center is a new and crucial piece in reaching these athletes, Upward Sports also has an existing Volleyball Center ten miles away which houses seven additional volleyball courts and has an expansion in the works. As it stands, the 19 courts these two facilities have combined make them one of the largest volleyball complexes in the country! The ability to have access to such venues ensures athletes and their families have a place that can provide the competitive environment they wish to be a part of. Following the vision of creating a higher-level sports environment, volleyball was instituted as an Upward Stars program. Upward Stars differentiates itself by allowing players to be a part of a "club" atmosphere. It is here that they are led by certified coaches, receive individual instruction, and play against high-level competition to ensure they are reaching their full potential. Upward Stars already has terrific clubs and young athletes within its programs who are seeing results. Under the guidance of Corey Helle, the Upward Stars Volleyball Club Upstate was recently ranked the #1 club in the state of South Carolina. Helle, who spent 17 years as a college coach including the last 11 as the head coach at Wofford College, retired from the college ranks to be the full-time club director in 2012. This year the club anticipates having 40 travel teams and another 200 players go through their developmental academies. There are many experienced and passionate coaches within the Upward Stars programs like Helle. The knowledge gained from working or playing at the top levels lends them to be excellent teachers of their sport and help their young athletes perform at a high level. In 2013 - 600 club athletes participated in Upward Stars programs along with six additional tournaments that when combined, totaled 1,705 players for the year. In 2014 - 750 club athletes participated in Upward Stars programs along with ten tournaments that when combined, totaled 3,442 players reached for the year. o Hosting 8 SAVL tournaments, local high school and middle school tournaments, 13 indoor and outdoor events including sand, grass, and developmental tournaments, a national recruiting showcase for aspiring college players, and numerous coaching clinics.o The Upward Star Center being the site of a division 1 Men's volleyball match where North Greenville faces off against perennial division 1 power Pepperdine and their leader, former national USA volleyball coach, Marv Dunphy on January 3, 2015. o Co-hosting 1 AAU Winter Bump tournament in January, 1 AAU Super Regional and 1 JVA Challenge Tournament in March, and 1 SAVL Club Championship in April. "We are excited for the 2015 volleyball club season for many reasons, one of the main ones being able to have our teams play in one of the premier sports facilities in the country," said Helle, who also coaches the 181 team. Also, beyond the Upward Star Center only being used for sporting events, there are plans to utilize it as a place for conventions, concerts, community events, and parties to expand on the ways we can minister to our community. As we enter our third year partnering with JVA, it has become evident that their expertise is crucial in reaching young athletes across the country. They continue to show a strong commitment to working with Upward Stars club directors nationwide and truly trust the vision of each club director to help benefit and grow the sport at the local level. 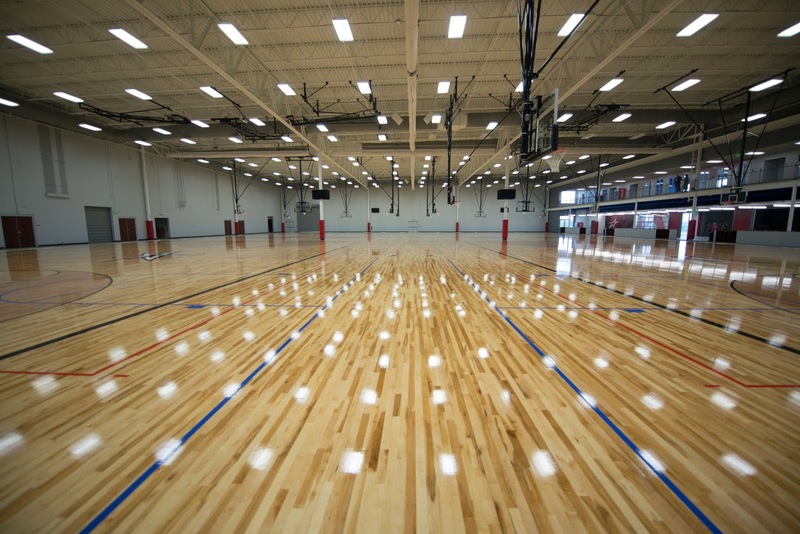 JVA is just one participant that is utilizing the Upward Star Center for their events and tournaments. We invite you and your club to come visit the facility if you haven't yet, and keep checking www.upward.org for upcoming events and Upward Star Center information. For more information about the Junior Volleyball Association (JVA) click here.